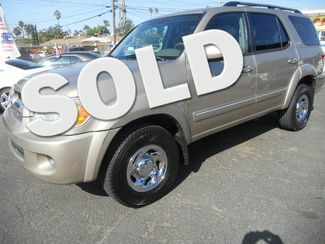 Clean title and Carfax report on this 1 owner Sequoia. Equipped with power windows, and door locks, Third row seat. and Ice cold A/C. Great people Mover .